The magical world of updos for long hair is indispensable for girls who had enough patience to grow their locks. After waiting for years on end to get lavish long hair, you can now enjoy a myriad of hairstyles that go far beyond curls or braids. There are so many types of updos out there that you might have a challenging time choosing just one. For that, we have no less than 50 examples that you can play around with on different occasions. When we think of updos for long hair, complex hairstyles usually come to mind. However, sometimes sweet and simple does the trick. 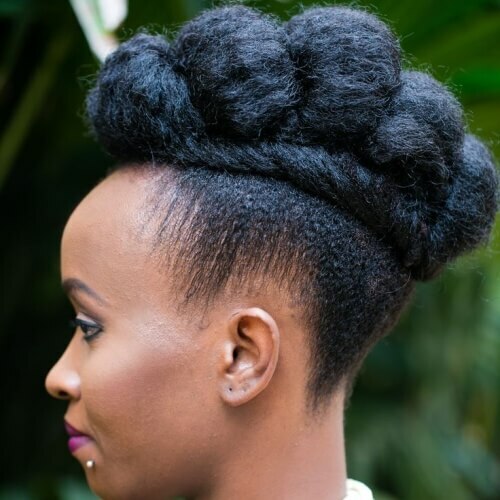 For this low bun, all you have to do is part your hair in half and wrap it around above your nape. We have been getting inspiration for ballerinas for decades now, especially when it comes to hairstyles. A sleek and flawless look can be obtained through a superb ballerina bun. Optionally add a flower accessory for a chic touch. Prom season is one of the most stressful times of the year for high school girls. You have to find a perfect dress, pair of heels and hairstyle to make the look fabulous. 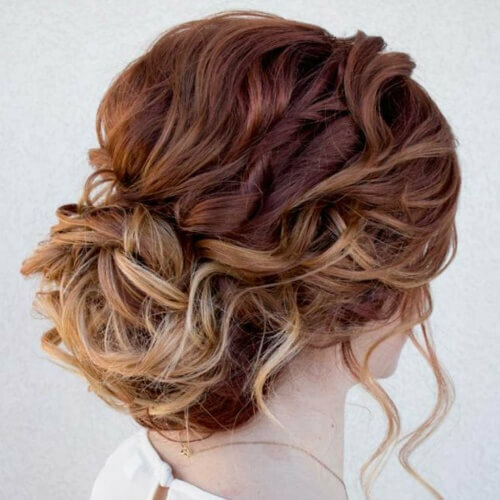 If you have long hair, search no further – this is the prom updo for you. Ponytails will literally never go out of style. They’re a pretty and practical way to rock your long locks, particularly if you want to get them out of your face. 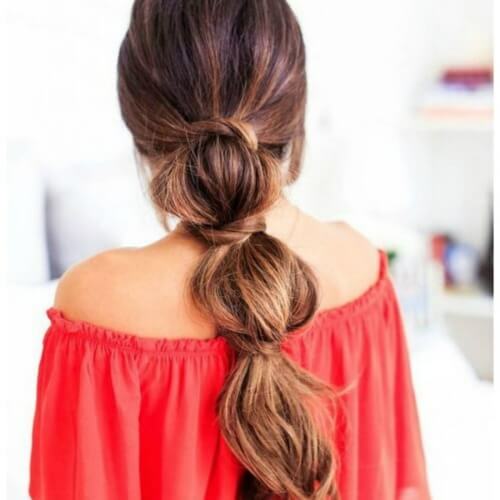 A messy ponytail is just what you need for a hot summer day or a casual night out on the town. If proms are nerve-racking, wait until you get to your wedding. 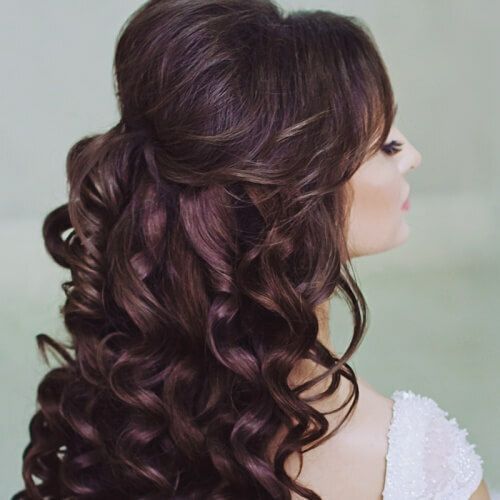 There are so many details to check off that your bridal hairstyle might seem insignificant. Don’t jump to conclusions – it can make or break your vibe on the big day. This sweeping updo with silver accessories is ideal. Feel like keeping things laid back and simple? 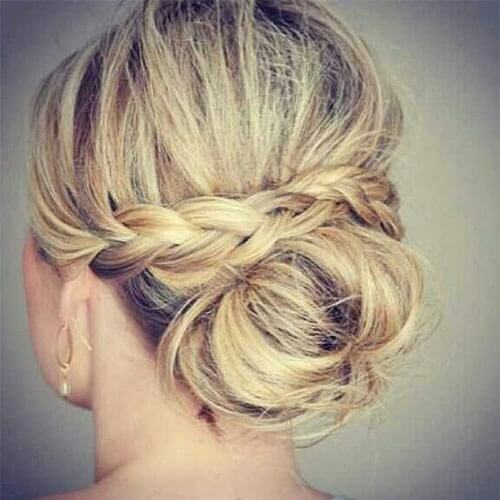 All you have to do is wrap your beautifully long strands into a large, spectacularly messy bun. You can leave a few hanging loose on the sides for an effortlessly stylish impact. Among braided hairstyles, fishtails have regained considerable popularity in the last few years. This neat weaving technique looks even nicer when worn high. Also, it’s a cute way to spice up your classic ponytail. 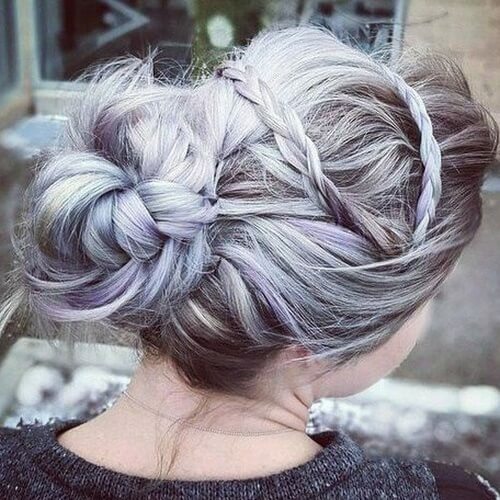 If you’re not sure whether to choose braids or a bun, you can go wild with both. For the braiding part, you can simply use a strand or two and pin them in a double headband fashion on top. Use the rest for an adorable loose bun. 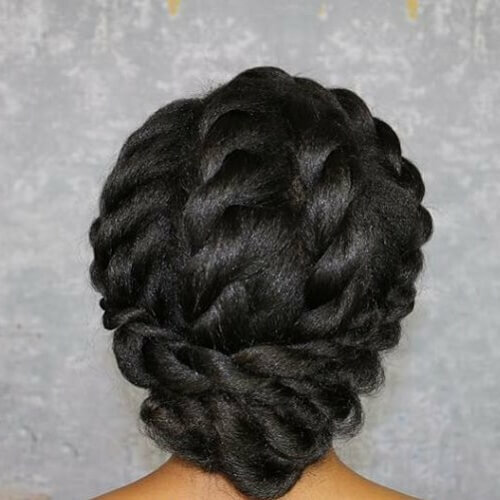 You can take the braiding part of the updo to the next level with this wide double Dutch plait created on one side. Braid all the way to your tips and then ravel it all into a side chignon, leaving a few strands loose. Succeeding in growing out natural hair is quite the achievement indeed. Now that you have glorious, long afro-textured hair, you have to continue taking care of it. 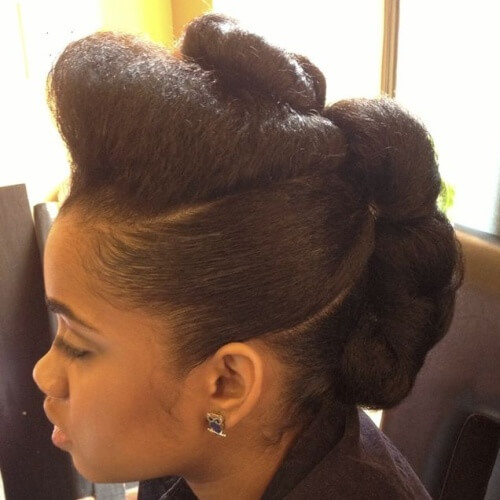 This is the perfect example of a protective updo hairstyle that you can try out. What better way to show off your long hair than with a half up half down hairstyle? 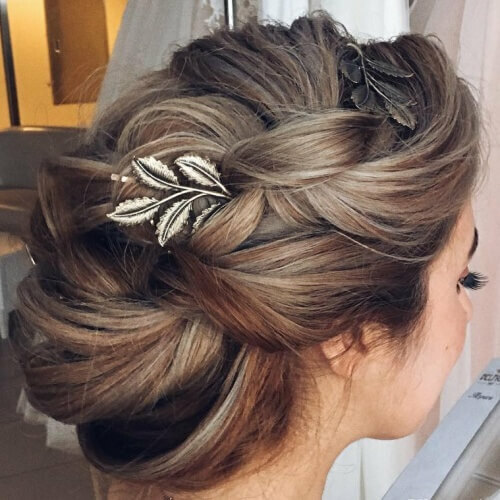 Even though this is technically part of the half updos for long hair, it’s a glamorous way to showcase your luscious long locks. Style knows no age! 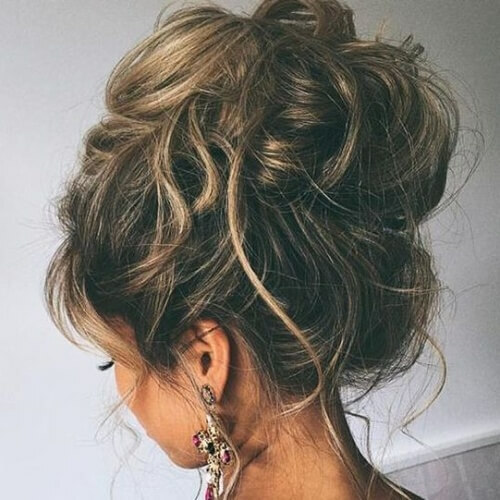 Even if you have entered your senior years, you can still rock an updo gorgeously. This elegant chignon is the perfect way to highlight your long, natural hair at formal events. One of the numerous beauties of updos for long hair is that they make way for creativity. In other words, you can transform your hairstyle into any shape you dream of. 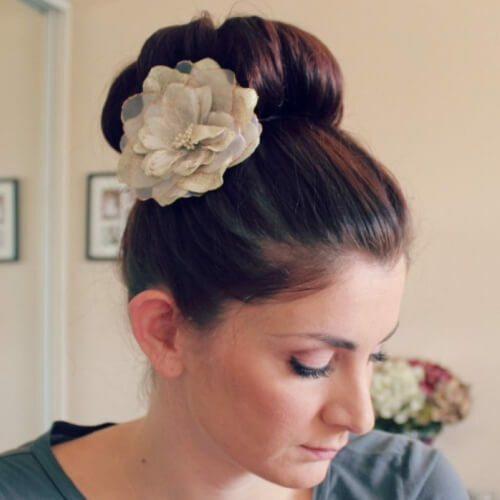 For instance, this flower-shaped updo is just what you need for a fancy occasion. Having thick hair can be a blessing and a curse at the same time. When it’s also long, it can prove to be challenging to style. For this, you can opt for a simple yet effective hairstyle like a knotted low ponytail. A great deal of updos for long hair are meant for black tie events. 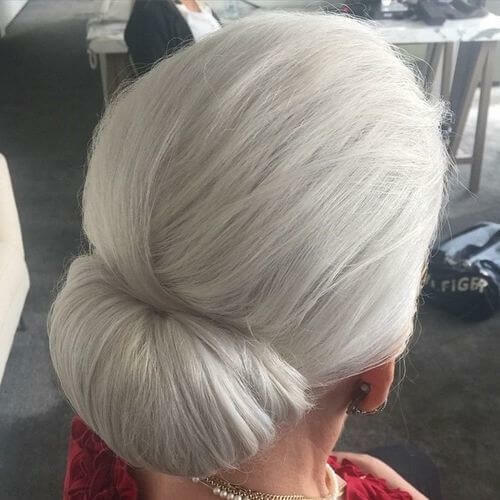 Regardless if you’re attending a wedding, preparing to be a bride or planning on going to a cocktail party, an exquisite updo like this helps you leave a memorable impression. Speaking of weddings, what about bridesmaids? It gets even trickier here because their hairstyles should be exceptional, while not surpassing the complexity of the bride. 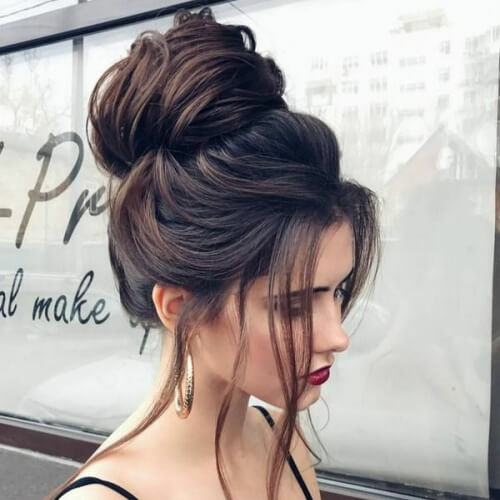 This updo, for example, has the ideal balance for such events. Curly hair is a sheer joy to style, even more so when it’s long. It’s also quite simple to bring curls together into an enchanting low bun. If you have balayage or ombre hair, this is an amazing way to accentuate your blended colors. 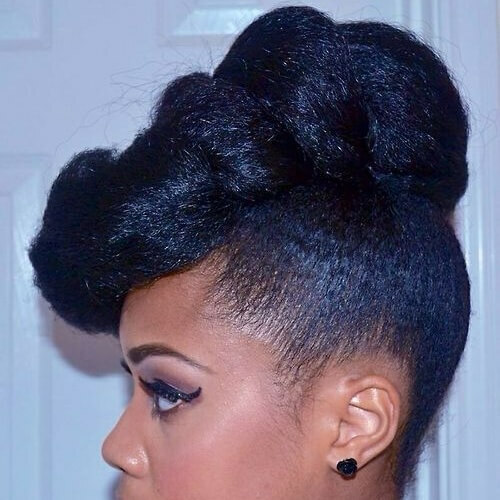 Faux hawks are all the rage among updos for long hair. They’re an alluring way to add some edge to your hairstyle without hitting the razor. All you have to do is use a quality hair product to sleek up the sides and pin the rest to create the illusion of a mohawk. When it comes to hair trends, there are few that surpass the effortless glam of messy hairstyles. Lazy buns, in particular, have been adored by women of all ages for as far back as we can remember. 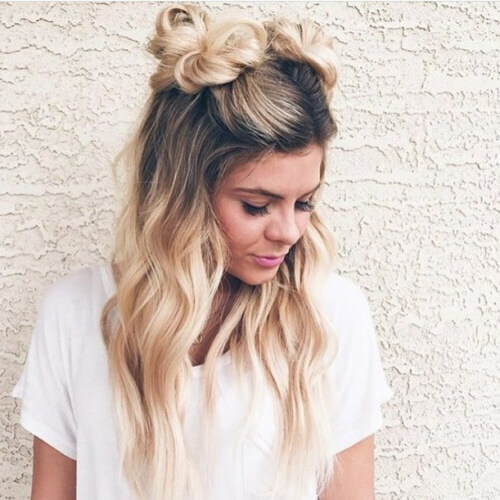 This dreamy bun is suitable for all sorts of situations, from casual to fancy. 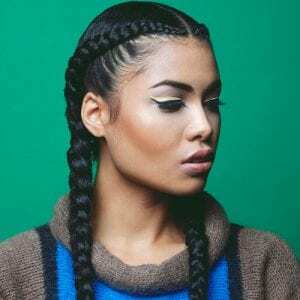 What sets Dutch braids apart from French or traditional braids is that they add more volume and shape to the hairstyle. The reason is that the technique focuses on braiding outwards, instead of inwards like with most other braids. Festivals are the prime highlight of any boho gal’s summer. To prep for your dazzling festival outfit, you should always put some time aside for the hairstyle. This half updo with double top knots might be just what you are looking for. A detail so small such as wrapping a bun to the side can make the whole difference for your appearance. This hairstyle has a unique touch of sophistication that makes it simply perfect for red carpet events. Not all updos have to be sky high. 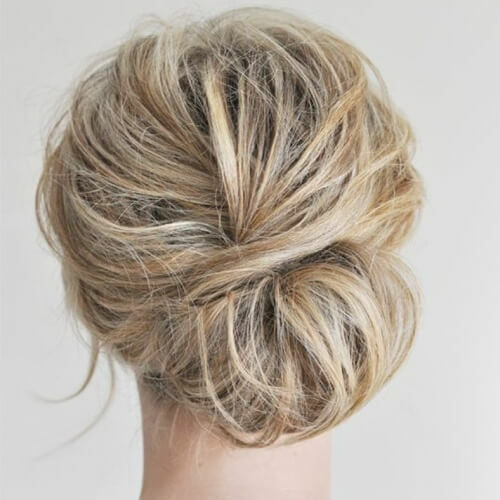 A low bun, for example, can be just as refined as any other updo. Make yours creative by adding a back crown braid that rests charmingly on the top of the bun at the back of your neck. 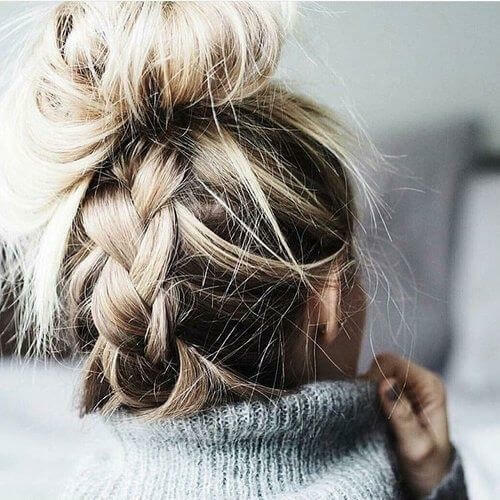 Just like messy buns, loose braids also score major style points for hairstyles. 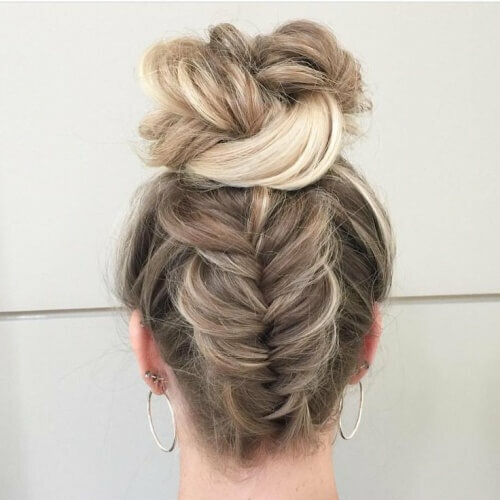 These two fishtail braids are gently pulled apart so they match suit with the lazy low bun. Put them together and you have one unforgettable hairstyle indeed. 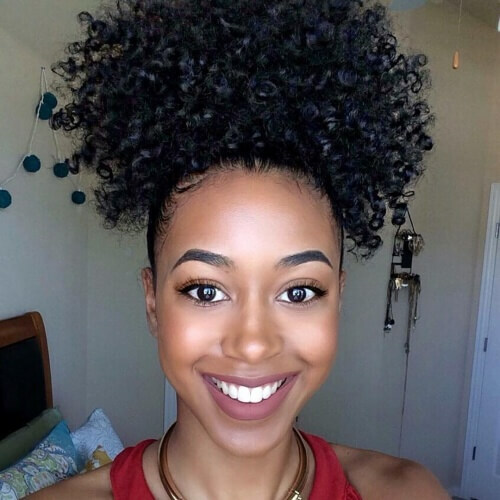 Another excellent protective hairstyle for natural hair is this twisted updo. It effectively shields your natural locks from damage while creating a wonderful hairstyle that is sure to make heads turn. Just like thick hair, thin hair can also be either easy peasy or extremely difficult to style. 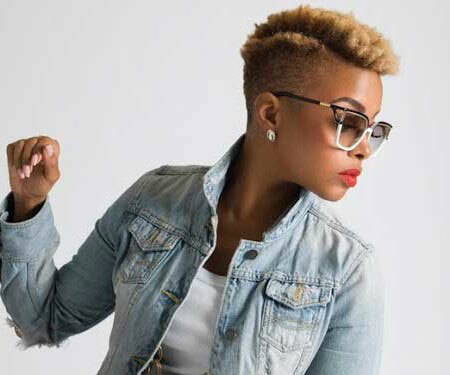 However, if you choose a hairstyle like this one, it will take less than 5 minutes to put everything together. Yet another tasteful updo fit for even the fanciest events involves a low bun. 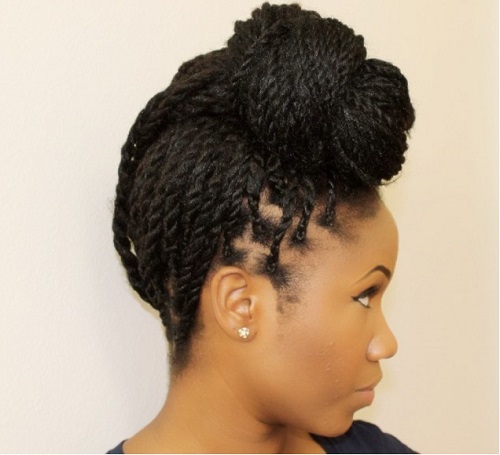 Even though the base might be simple, the intricate weaving in the bun makes the hairstyle remarkable. Girls with thin hair know how frustrating it can be to nail the perfect ponytail but see that it looks lifeless at the end. 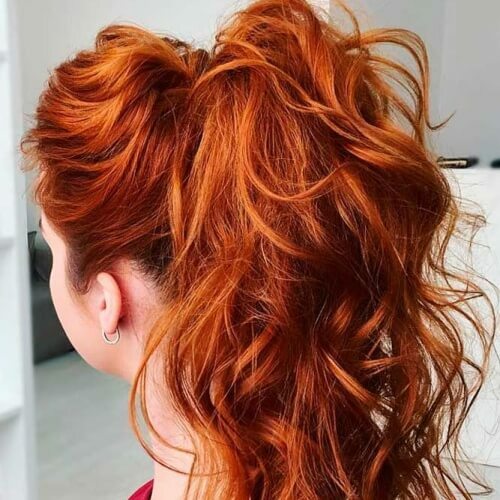 One way that you can trick your hair into a fuller ponytail is by creating one with the second half of your hair and pinning the rest over on the top. You can also use this technique to get super high ponytails. Moreover, you can simply insert one or two bobby pins at the base of the hair tie to lift the entire ponytail. Enjoy the extra volume! If you’re on the run but you still want your appearance to be on point, go for a quick updo. Bend over and create a reverse Dutch braid starting from the base of your neck. Wrap the rest in a casual top knot and you’re good to go. Braided crowns are quite a sight for sore eyes and a genuine beauty to behold. When you create one with a pull through braid, the impact is even more stunning. This hairstyle might require a bit more time to put together, but you’ll love the results. Not all updos for long hair are meant to impress at select events. Some need to be practical, such as those required for athletes. If you love working out or playing a sport and your long hair always seems to get in the way, try out these braids with a ponytail. 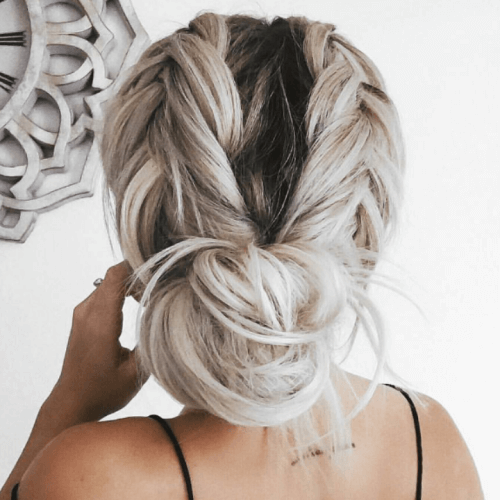 If you’re looking for balance, this is one of the best updos for long hair for you. While it has an elegant touch owing to the side chignon, it’s still a bit messy. This makes it appropriate for all sorts of occasions, both formal and casual. Retro hairstyles are a definite sign of femininity and radiance. This vintage updo takes us back in time to one of the most stylish eras. It is just what you need for a breathtaking presence while at a special event. 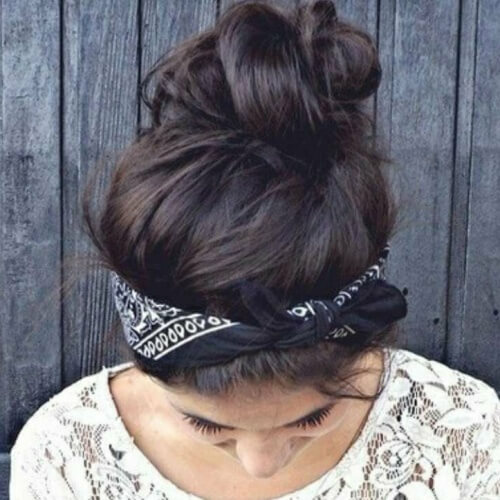 For an urban look, you can always use accessories like bandanas. Furthermore, depending on how you style the rest of your updo, you can also obtain a great pin up look from the hairstyle. 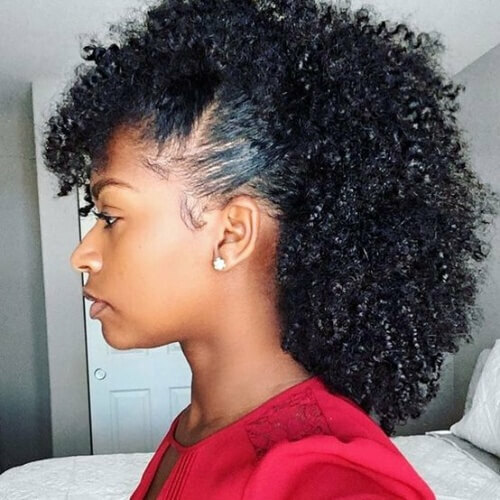 This is yet another eye-catching styling idea for long, natural hair. It’s also a protective one, and enhances the natural afro-texture brilliantly. The sculpted work put into the updo is truly admirable. Bohemian ladies often search for hairstyles to match their carefree personalities. 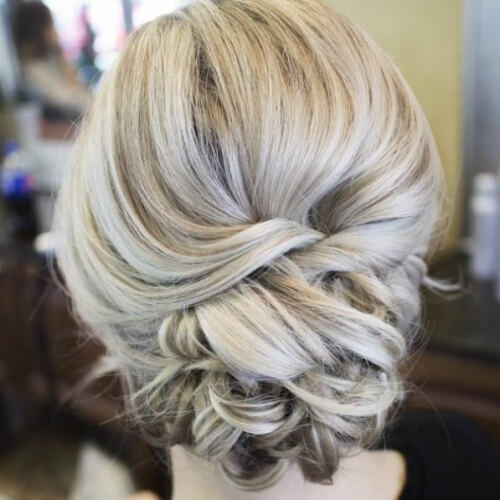 This braid and bun blend is one of the best updos for long hair for this style. Don’t shy away from leaving loose strands, as this detail makes the look complete. You don’t always want to go over the top with updos for long hair, especially if there is nothing special coming up in your calendar. 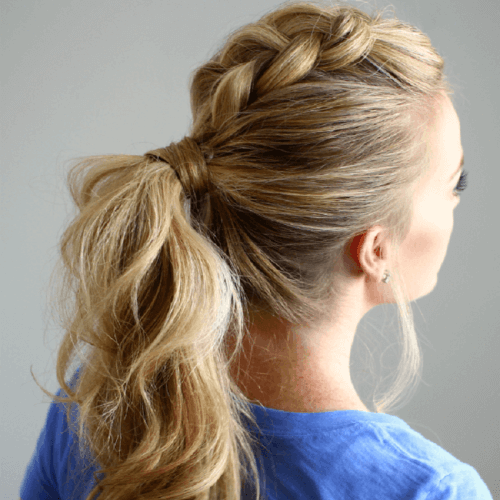 Nonetheless, you can combine a Dutch braid with a traditional ponytail and reap the benefits. This hairstyle glows with beauty, innocence and purity. It works delightfully for girls and women alike, for memorable events or a pretty photo shooting. 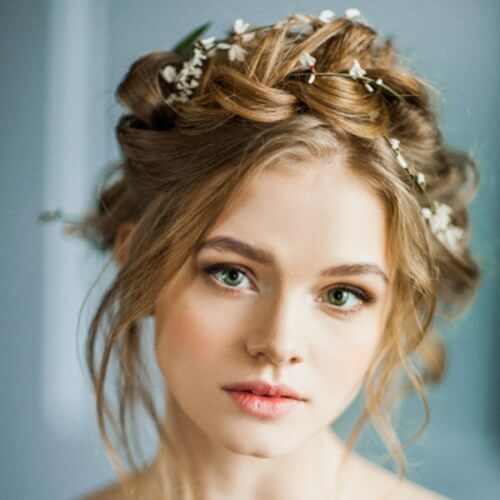 The small flowers in the braid have a huge impact on the final look. Searching for a hairstyle fit for a homecoming queen? This is certainly one you should keep in mind. It’s delicate yet comfortable, classy yet playful, radiant yet down to earth. What could you want more when you receive your crown? 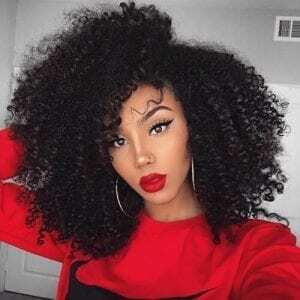 There are countless women who would give anything to have natural afro curls. If you were lucky enough to be born with them, don’t hesitate to show them off in a marvelous, puffy ponytail. If you have really, really long hair, you already know how tough it can be to find a hairstyle that simply works. This lovely side fishtail braid is not only flattering for long locks, but it will also help you keep them out of your eyes. This is another way to rock a side bun without styling your hair into a chignon. It still has that casual appeal, while still being perfectly wearable for white collar events. Feel free to sport it as you please. If it’s in the middle of summer, we know how ruthless the scorching days can be. For these times, you can use a full updo to completely free your face from any extra discomfort. 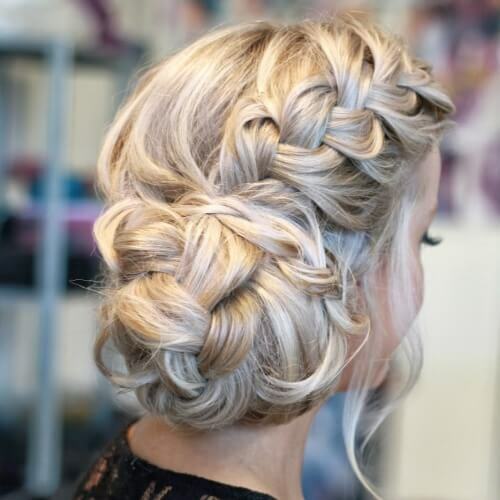 One of the best ways to do so is with a full braided crown updo. 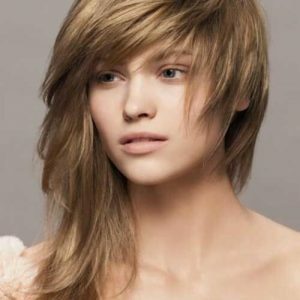 A fantastic way of enhancing the length of your hair is to contrast with bangs. When experimenting with updos for long hair, you can either style your bangs to the front or pin them gently to the side. Two top knots can also be rocked entirely pinned up, not just half way through. This is an adorable look that expresses a free and playful spirit. 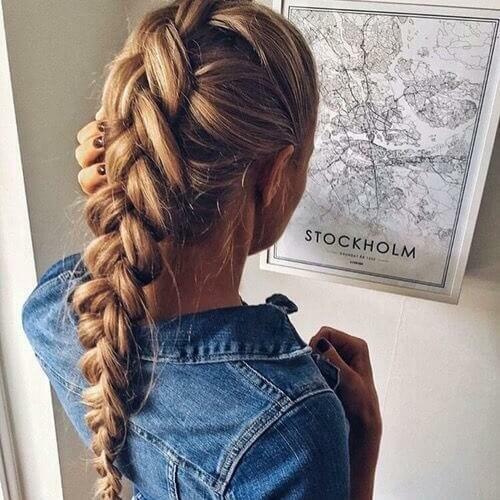 Have fun with this hairstyle for your casual outfits. 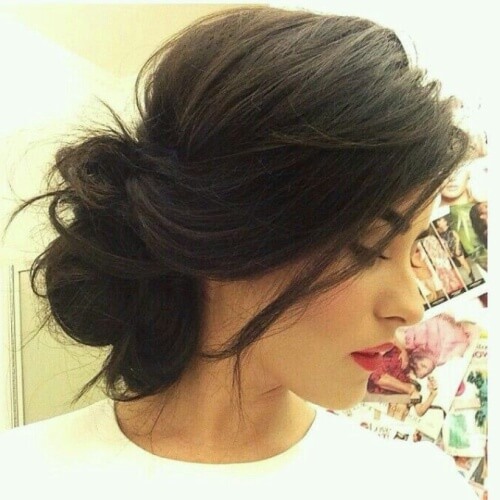 If you have a candlelit date coming up, this is one of the most ravishing updos for long hair you can go for. It’s not too flashy, while being a breathtaking sight for your significant other. Magnificent vintage hairstyles can also be inspired by the roaring 20s. What makes this hairstyle truly jaw-dropping is the feather and rhinestone accessory. Pin yours to the side for a splendid outcome. 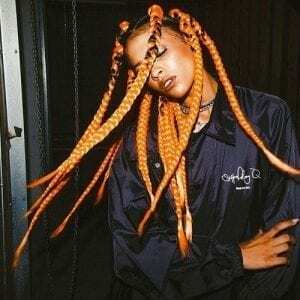 Buns with reverse braids are getting more and more popular. 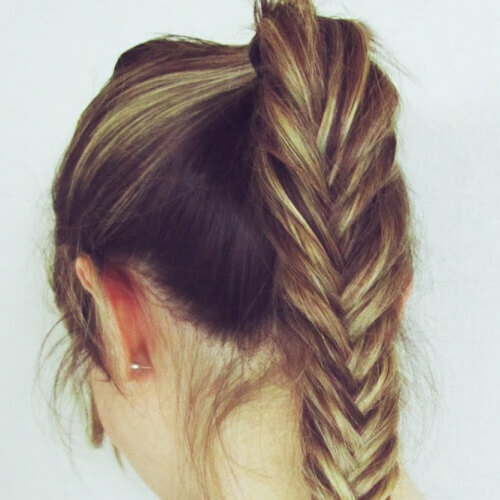 If you want to stand out from the crowd with yours, go for a fishtail braid for the bottom part. 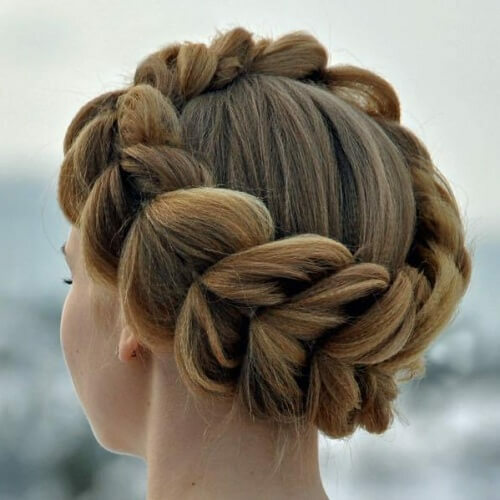 Braid outwards for a dynamic effect. While this is our last hairstyle among updos for long hair, it is no less extraordinary. The sublime retro beauty of a pompadour is unique and tasteful, making it terrific for leaving a good impression anywhere. To conclude our list of fabulous updos for long hair, we want to set the record straight. Any one of these hairstyles can boost your chances of achieving a phenomenal appearance. Nevertheless, we warmly recommend choosing one that is representative of your style. Enjoy the process!